Shakers viewed simplicity and careful work as a form of prayer, which led to the design of beautifully pared-down furniture, revered to this day by modern and traditional design lovers alike. Officially called the United Society of Believers in Christ’s Second Coming, the Shakers in 1774 broke away from the Quakers in England to form their own religious society in colonial America, where they lived in celibacy and granted full equality to men and women. Although Shaker communities had thinned greatly by the early 20th century, a few small practicing Shaker communities do exist today. With clean lines, unadorned forms and utterly practical applications, Shaker designs are, if anything, more relevant in today’s hectic world than they were in the 18th century. If you’ve ever been curious about Shaker style, read on for a run-down on five of the group’s most iconic designs. 1. The ladder-back chair. Ladder-back chairs did exist before the Shakers, but they were more ornate … and less comfortable! Shaker ladder-back chairs are simple and straight, with a leaner look than other versions. There are many modern incarnations of the Shaker ladder-back chair, like these from Oly Studio, with an even more slender, elongated look. 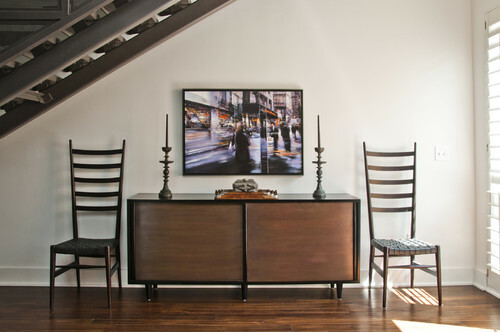 There are also Shaker-style ladder-back chairs in bar- and counter-height versions. 2. The peg rail. The Shaker peg rail, a simple board affixed to the wall with evenly spaced pegs, can be used to hang up just about anything, from clothes to tools. Traditionally, the ladder part of ladder-back chairs could be hung on the peg rail to get the chairs out of the way while someone was sweeping up. 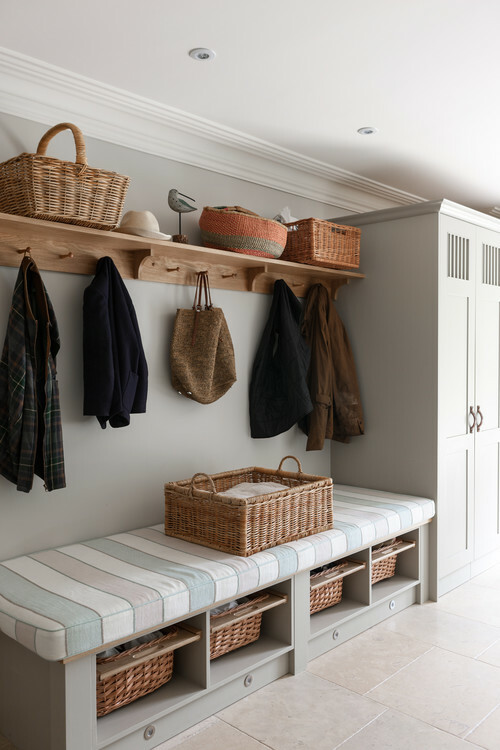 Today you’ve most likely encountered Shaker-style peg rails in the mudroom, where they make a welcome addition – but why not buck the trend? Try a peg rail in the kitchen to hold pots and pans, in the bath for towels or in the workshop. 3. Custom storage. 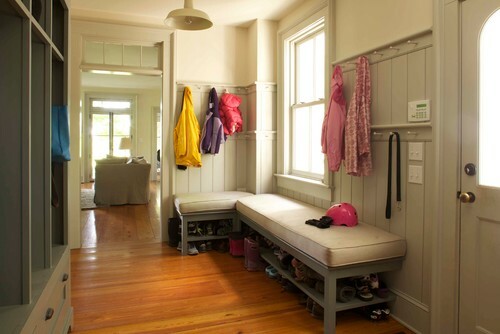 Rather than one-size-fits-all storage, Shakers often designed drawers, shelving and cabinets to fit specific items, so that every item had a perfectly sized space. Imagine never having to cope with an odd-size item’s not fitting on a shelf! 4. Baskets. Simple, sturdy and useful, Shaker-style baskets sum up much of what the group is known for. With so many mass-produced baskets out there today, holding a carefully handmade version in your hands is a revelation. 5. Cabinetry. 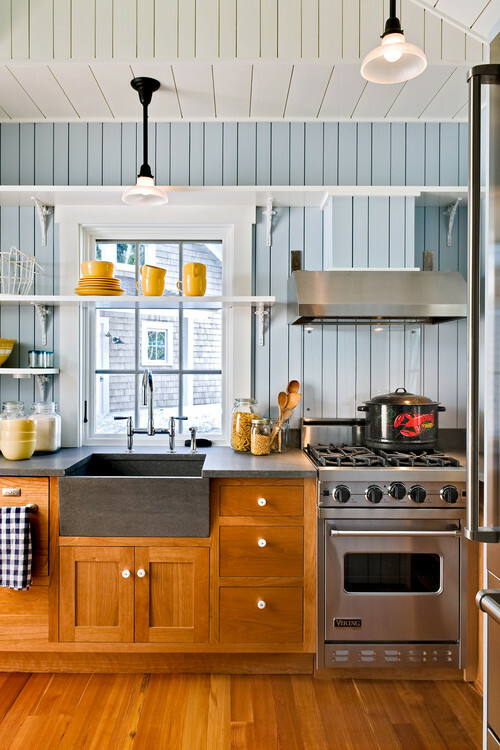 With a recessed panel and round knobs, Shaker-style cabinets are simple and unadorned. 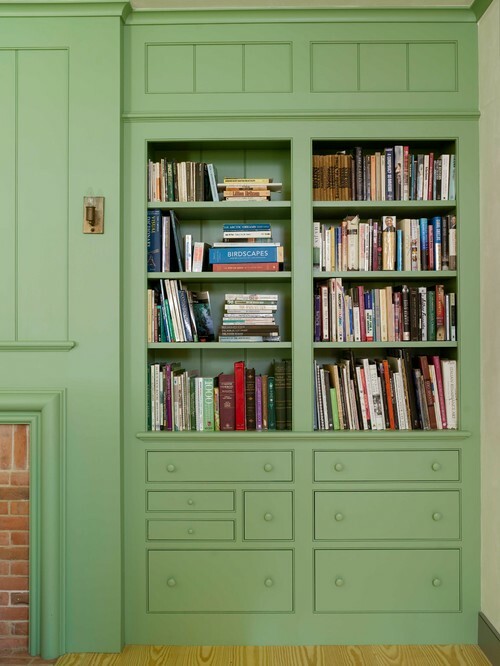 Traditionally made from solid wood and polished by hand with a simple, natural finish, Shaker-style cabinets can be found today in all sorts of finishes and colors. In addition to the five items listed here, Shakers have designed many others for the home, such as nesting boxes, flat brooms and wall cabinets designed to hang on peg rails.